Home / Guidance / Guidance – Gibbering Mouth: Where Have All the Halfling Fighters Gone? Guidance – Gibbering Mouth: Where Have All the Halfling Fighters Gone? 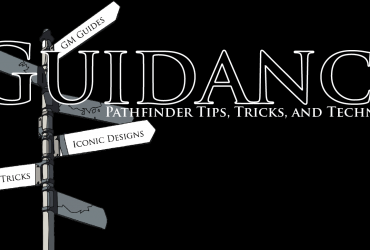 Welcome to Guidance, Private Sanctuary’s source for tips and techniques for the Pathfinder Roleplaying Game, written by Everyman Gamer Alexander Augunas. Today, we’re going to be talking about how players and designers pigeonhole races by their ability scores. I think most players have a “type” of character they like to play. This “type” is a basic representation of how the player interacts with the world. For me, that type is “skillful fighter.” For reasons even I don’t understand, magic bores me. 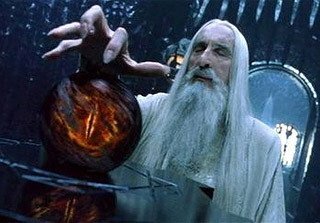 I have one high magic character, a sorcerer, and I am content with him because spellcasters are fairly homogeneous. (The reason for this is a topic I will touch upon in another rant.) Martial characters can actually look and feel different based upon the choices you make in their build and class, so I prefer to play them. As I’m sure you ALL have figured out by now, my favorite race to play is kitsune. There are a couple reasons for this: one, they’re close enough to human that my presence isn’t disruptive to the campaign. Two, they’re not human. Three, they represent something of a “challenging gameplay” mode because their racial traits are fairly unoptimized for the type of character I like to play. That’s right folks, I like playing kitsune in part BECAUSE of that Strength penalty, not in spite of it. And honestly, I wish more people felt the same. Throughout our gaming community, there is a huge sentiment that you absolutely, 100% cannot be a member of a class if your race penalizes your key stat, or if it does you need to build your character in a way that this penalty doesn’t affect you, such as using Dexterity for attack rolls instead of damage rolls. Personally, I think this is a bit of a silly sentiment. Why? Well, let’s do some adventuring and find out. With only a few exceptions, most races have a penalty modifier of –2. In effect, that is a reduction of 1 from a specific ability score. Using my favorite race as an example, the kitsune effectively add +1 to all things Dexterity– and Charisma– based and subtract –1 from all things Strength based. For many gamers, these small, +1/–1 benefits are enough to mandate class choice. But what’s the value of this bonus, really? In all honesty, its not much. Let’s backtrack to one of my early GM’s Guide articles: the Math Behind CR. In this article, I prove that a PC with level-appropriate wealth as a CR equal to its character level. Let’s take this knowledge and apply it to the Advanced Creature simple template. The Advanced Creature simple template adds +1 to the creature’s CR, but it does so with nothing more than numerical modifiers. Well, that’s perfect! How does it fare? +4 to all ability scores. So if that’s the truth of ability scores, then why do we put so much weight into them? A minor, but understandable, reason that people focus heavily on ability scores are prerequisites, specifically feat prerequisites. Although most feats don’t care about your ability scores, several very powerful or vital feats do. For example, Power Attack, arguably the most powerful and prized feat in the game, requires a Strength of 13 or better and while Combat Expertise isn’t a powerful feat, it is required for a large number of other feats and it requires an Intelligence of 13 or better. These are just some examples and while they certainly aren’t the only examples, these two feats are ones that need to be taken by many players because of how many combos they build off of. Of the two of these feats, Power Attack is the big culprit. Pathfinder has few feats that provide a static bonus to damage, and Power Attack is basically the feat for martial classes. If you aren’t a fighter and don’t subscribe to teamwork, this is basically the only feat you can take that will directly increase your damage until you qualify for the Bleeding Critical feat, and even that feat is somewhat situational. Now, when we talk about prerequisites the conversation all but stops at feats. The other major game mechanic with prerequisites, Prestige Classes, very rarely has ability scores as a prerequisite. So, yeah, that’s a thing. Another major reason that people cherish ability score bonuses is that they are somewhat scarce in the game. Typically speaking, you receive a +1 to one ability score at 4th level and every 4 levels attained thereafter. Aside from that bonus, you can buy magical enhancement bonuses and if you’re really high level (and really rich) you can buy magical inherent bonuses too. Other then that, there aren’t many ways to boost your ability scores and for good reason. Ability score bonuses provide increases to MANY player statistics: several skills, special statistics like carrying capacity, hit points, skill points, and so on. When races take a penalty to an ability score and we see all of the negative influence that the race’s small –1 penalty brings, we get all worried and scared that our character is going to be weak and inept when really, its not. So then, where have all the halfling fighters gone? Although it makes sense from a game perspective, one of the big problems in the Pathfinder Roleplaying Game is the damage advancement by size table. This table is the only thing that makes enlarge person an effective spell. No, really. It is. Being under the effects of enlarge person has more penalties than bonuses but people really want the increased damage dice of being large. In reverse, people shy away from Small creatures as combatants in many classes because the reduction in damage dice size is very difficult to overcome. As a matter of fact, the best way to overcome being small is by being a member of a class where your weapon damage dice don’t matter much to your overall damage done, such as rogue, paladin, or cavalier: basically, any class with a large source of static damage bonuses. Why is this? Well, it comes down to mathematics. If I’m a cavalier and a challenge my opponent, I get a bunch of extra damage against my foe regardless of how big I am. So if I’m a human cavalier doing 1d8 damage with my longsword + another 10 from challenge I’m not doing significantly more damage than the halfling cavalier doing 1d6 damage with his longsword + another 10 damage from challenge. The gap is less noticeable with a class like rogue, where all of the extra damage is random. Although mathematically the halfling’s maximum damage simply cannot outdamage the human’s maximum damage, the halfling can consistently equal or even beat the human when all of the damage done is variable. Although halflings moved away from their Tolkien roots somewhat over the past few decades, the synergy between the rogue’s class mechanics and the benefits (and penalties) of being small keeps the thief role an iconic part of gaming culture. That about wraps up my thoughts on size and ability score-based and size-based character building decisions. As someone who regularly builds Strength-based kitsune fighters, I really want to know your thought on this? Is race an aesthetic choice for you or do you pick your character’s build based on its ability modifiers? For example, do all of your elves use Weapon Finesse and ranged weapons? Are all of your orcs Strength-based meatheads? Leave your answers, comments, and questions below and I’ll be seeing you next time on Everyman Gaming! Previous Article Guidance – Rules 101: Hark! A Swallow!